Also at NAMM are Numark showing off a number of attention getting items this year. Four decks of software control, a four-channel mixer and total command over all effects: Meet the Numark 4TRAK, the ultimate controller for TRAKTOR DJ software. 4TRAK lays out a vast assembly of tactile controls in front of you, putting a playground of capability at your fingertips. Mix anything: The Numark 4TRAK’s built-in four-channel mixer allows you to bring turntables, microphones, MP3 players and more into the mix. Tweak everything: High-resolution platters, exclusive Strip Search needle-drop technology and an expansive 12-knob FX KOMMAND CONSOLE give you more precise control over TRAKTOR than ever before. 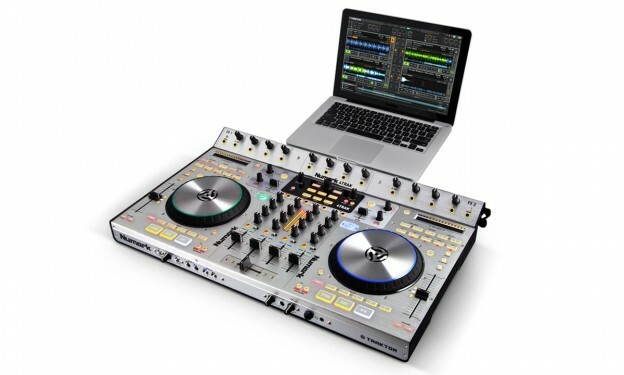 At the heart of the Numark 4TRAK is a premium-quality fully independent four-channel mixer that can be used with or without a computer, making 4TRAK one of the most versatile TRAKTOR controllers in the world. 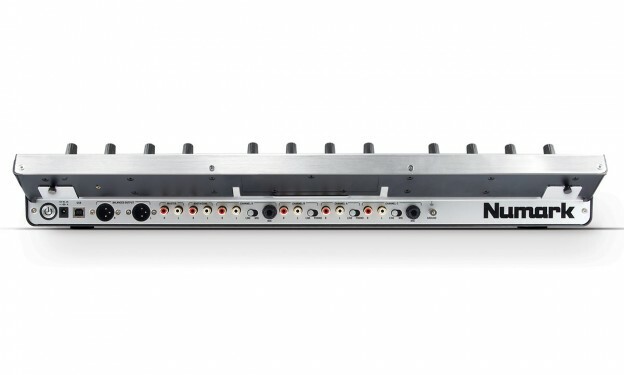 The Numark 4TRAK has a full range of input and outputs for connecting virtually any device: RCA inputs on each channel and four line-level inputs with two switchable to phono and two switchable to mic. Connect almost any external music source like turntables, CD players and microphones, and mix them in seamlessly with tracks from your software. 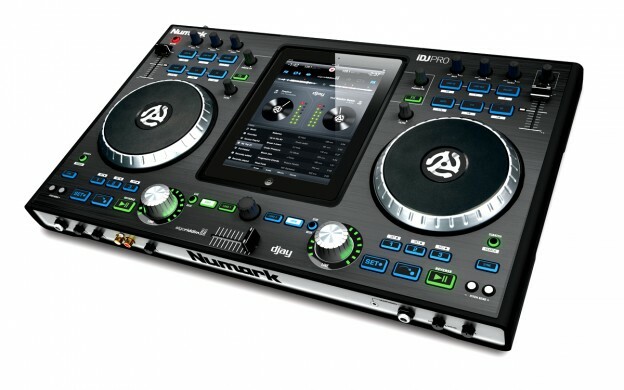 A new flagship product from Numark and it’s a beast. 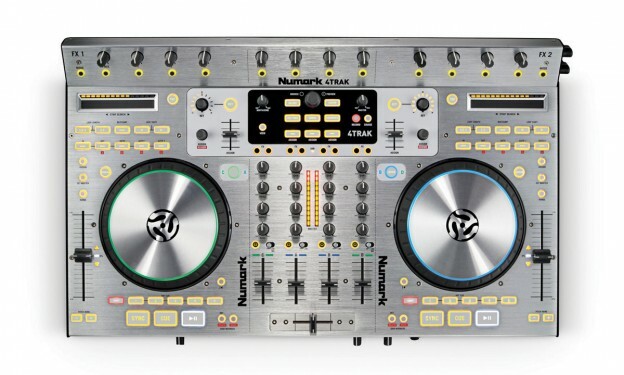 Clearly designed to sit at the heart of your Dj’in setup this could become the controller for Traktor fans everywhere. Deck out your iPad for some serious mixing. iDJ Pro from Numark is a professional DJ controller that expands your iPad’s touch interface, seamlessly integrating with Algoriddim’s djay for iPad app to form a completely new DJ experience. iDJ Pro features a sleek, brushed aluminum casing and is equipped with all the professional controls you expect, plus some design features and capabilities that will inspire brand-new surges of creativity. Combining the industry-leading design of Numark DJ controllers with the power of your iPad and Algoriddim’s djay app, The Numark iDJ Pro puts a 30-pin dock for iPad at the center of its traditional dual-platter setup, giving you access to your iPad’s touchscreen alongside an expanded layout of physical controls: touch-sensitive platters, large die-cast aluminum volume knobs, a dedicated music-library scroll knob, plus hot cues, looping, pitch and effect controls. Once your iPad is docked, a latching door provides total, seamless integration, giving you an intuitive, flexible and powerful DJ system. They are taking what so far has been a consumer level product and attempting to make it pro. It’ll be interesting to see if the feature set of the The Numark iDJ Pro chimes with the pro level performers out there, but it could certainly be another interesting product.